The Swedish Research Council-funded research infrastructure Biobank Sweden supports healthcare providers and universities with medical faculties working towards national harmonisation in biobanking. As previously reported , a Scientific Advisory Board (SAB) was appointed in early 2018. Three of the five members, Anu Jalanko (Finland), Kristian Hveem (Norway), and Michaela Th. Mayrhofer (BBMRI-ERIC) participated in Biobank Sweden’s Steering Committee meeting in November. 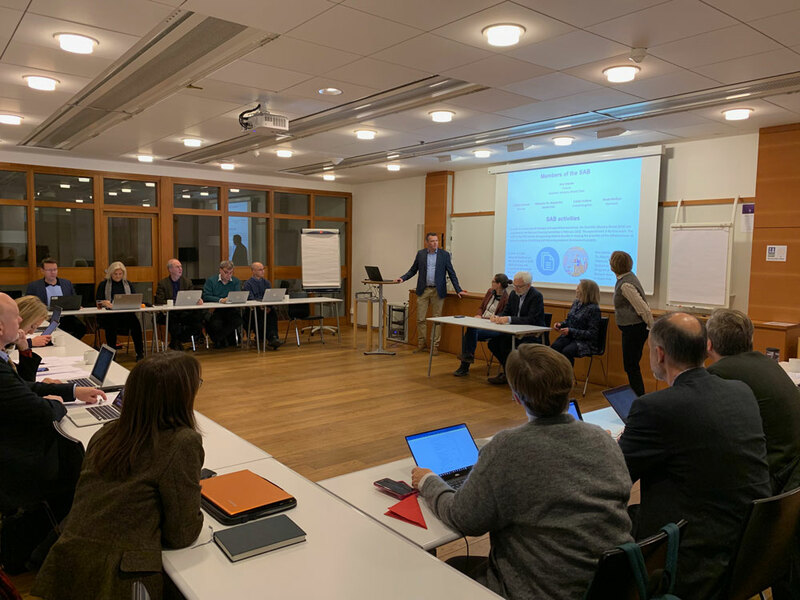 The group discussed organizational structure, and the SAB particularly noted the hands-on approach the Steering Committee has taken during the implementation phase of Biobank Sweden’s research infrastructure. During the discussion on communication as a necessary foundation for national harmonization, the Steering Committee was particularly happy to receive praise for Biobank Sweden’s comprehensive website, www.biobanksverige.se, which offers tailored information for the public, researchers and biobank staff.